Oh Let me down easy. Let me down easy oh before you go. Ohh, let me down easy. And Im too far down below? This actually makes it super easy to play and does sound super cute! I like +3. It makes the song that extra bit adorable. SHEPPARD! 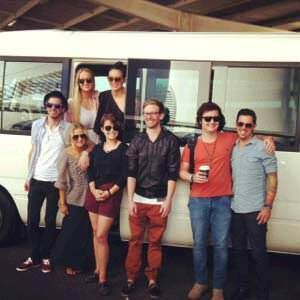 is an exciting new Brisbane band formed by brother and sister duo, Amy and George Sheppard. The group play a colourful mix of alternative and indie pop. “It’s music that we hope would cater to any person of any age, from any walk of life. We feel it really is an original sound and we strive to make each song catchy and unique. Give each track its own personality,” Amy Sheppard .